Only in case of a NO SHOW or a cancellation less than 48 hours before arrival, your credit card will be charged for the value of one night. If you reserved more than one room, each room will be charged for one night at the rate agreed in the reservation. To avoid being charged for a cancellation or NO SHOW, please cancel your reservation by email at least 48 hours in advance. A NO SHOW is considered if you don't check in on the agreed date. So if you checkin the next day, you will be charged the agreed checkin date. If you modify your reservation during your stay for less days, you will be charged a modification penalty for the value of one night. This is a SPECIAL DISCOUNT RATE that is NOT REFUNDABLE and PREPAID, you authorize the hotel to charge the total amount of your reservation to your CREDIT CARD since you made the reservation. You can not modify or cancel your booking. In case the credit card is invalid or the payment does not proceed your reservation may be canceled and you will be notified by email. Based on local tax laws, Peruvian citizens (and foreigners staying more than 59 days in Peru) must pay an additional fee of 18%. To be exempt from this 18% additional fee (IGV), a copy of the immigration card and passport must be presented. Please note both documents are required for fee exemption. Guests who are not able to present both documents will be required to pay the fee. of the length of their stay in Perú. 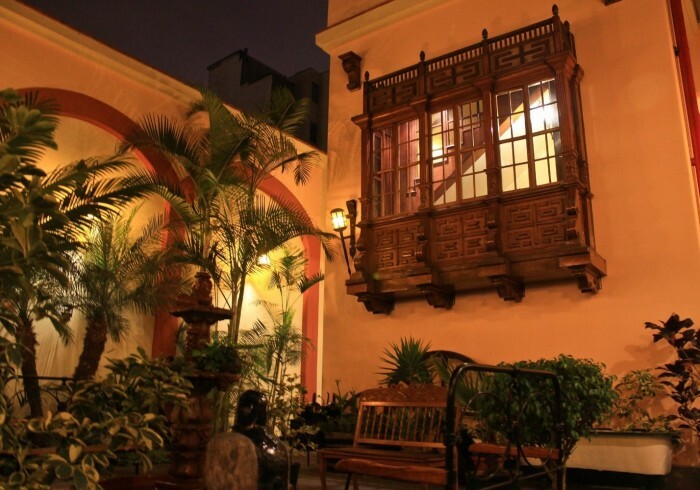 Hotel El Ducado is a hotel in colonial style with a nice decoration and a beautiful patio and colonial balcony. Hotel El Ducado is the perfect place to start or end your holidays in Peru! Private bathroom with shower, hair dryer and amenities.